British Gas is one of the world’s oldest and most trusted companies. In 1812 the Gas Light & Coke Company was set up by the royal approval of George III whilst Britain was still at war with Napoleon. 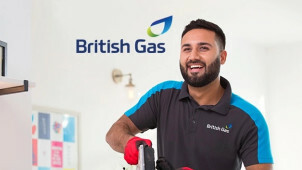 After over 2 centuries, including 2 world wars, countless innovations and enormous industrial upheaval, British Gas has remained one of the UK’s premiere energy companies. From the invention of the bunsen burner, the pre-payment gas meter and the smart meter, British Gas has been at the forefront of providing power to the people. In 2011 Home Insurance became part of their service, and British Gas immediately became one of the top 10 insurance providers in the UK. Underwritten by AXA Insurance and regulated by the Financial Conduct Authority, your buildings and contents cover are in safe hands with British Gas. Their 24 hour claims notification line and new British Gas app mean there are more ways than ever to get in touch with your insurance provider. How do I use my British Gas Home Insurance Promo Code? Buy British Gas Home Insurance online and get a 20% online discount, excluding on renewals. Is my home insurance policy new for old? Yes, you will get brand new replacement items after a successful claim, with the exception of clothes and household linen where a cash sum will be offered. Can I get a no claims discount on my home insurance? Yes, if you haven’t made a claim and have previously held buildings or contents insurance, a discount will be applied. The structure of your home and its outbuilding along with any permanent fixtures or fittings, such as kitchen units or bathrooms. You can cancel your home insurance within 14 days of purchase and British Gas will refund you the full premium provided no claims have been made. After 14 days, British Gas will keep a proportion of the premium and refund the rest as long as you have not made a claim. An admin fee may apply. We all know that it’s good to be prepared and with British Gas Home Insurance cover you can get the protection you need for whatever life throws at you. A British Gas Home Insurance promo code will save you extra cash, giving you more in your pocket for the things you love. Get Buildings or Contents cover, or a bespoke combination of both, plus a range of extras today with one of the UK’s most trusted insurance providers. British Gas has excellent 24/7 account support so you're not left in the dark. Their friendly advisers are on hand to guide you through your insurance application, go over your policy or help you with any insurance claim you are looking to make. The British Gas app makes it easier than ever to keep track of your home: with British Gas, getting the help you need has never been easier. British Gas’ Landlord Insurance is pretty hard to beat for sheer value. Giving you property owners’ liability as well as the benefit of a UK-based 24/7 claims notification line, a British Gas Home Insurance discount code could save you even more on your next policy. The extras are pretty great too, with the option of employers’ liability, contents cover and loss of rental income. You can even keep your quote for 30 days after the offer ends!